Our ERP is an integrated, flexible real estate software solution real estate businesses to manage complex business processes. The solution assists in reducing enterprise costs, improves operations efficiency, enables just in time decision making with 360 aggregated data and improves customer satisfaction and interactions with customers and suppliers. Successful retail real estate organizations excel in key business focus areas that are strategically aligned with company goals – opening stores; managing real estate; optimizing the portfolio. The result is world-class real estate operations that significantly contribute to the overall success of your company. Real estate agents typically need to keep track of a large volume of data relating to properties, requirements as well as client information. The traditional process of keeping track of all this data by maintaining books of records or excel sheets was not only cumbersome but also time consuming. It is very important to get organized since access to the right data at the right time could make or break a deal. Time is of essence and having all properties and requirements at your fingertips will give you the much needed edge over the competition. 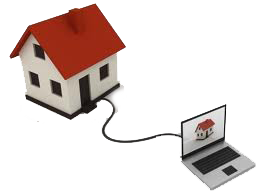 Realizing this, smart professionals have turned to specially designed Real Estate Agent Software by Realty Redefined. Interactive lead management for real estate agents. Advanced property matching engine and search functionality. Activity management to track real estate inspections. Integrated marketing and communication through email and SMS channels. Ability to share properties online. Business analysis and reporting tools. Automation of business processes to increase efficiency and productivity. At the core Realty Listings pro is a property listing solution which caters to all realty professionals, in spite of the type of property they are selling, leasing or sharing. Fully featured system includes extensive search options, image uploading and easy to configure listings. Get all your listings on the web with easy to use web-based real estate listing management solution Create property listings,property types,terms and conditions and even upload images for floor plant availability etc. Full featured searching available. An easy-to-use interface, customizable to your business needs, allows you to define the exact behavior of your searches and workflow management.